Easily one of the best vacations I have ever been on. And the vlog is finalllly here!! I have been waiting forever to share this with you guys. Since there was SO much footage, it took us a while to edit. Andrew and I partnered with a few key people on this trip of a lifetime. And we both agree that this was probably one of the best trips either of us have EVER been on. Continue reading. 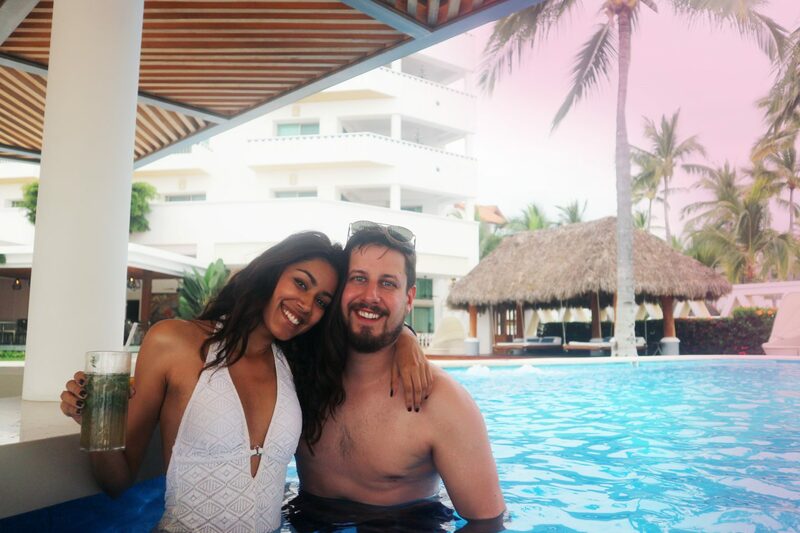 We headed to Puerto Vallarta, Mexico for a week. We partnered with Aero Mexico on our flight there and back. Thank you to them for upgrading out seats to business class. And we partnered with Villa Premiere Boutique Hotel & Romantic Getaway for our luxurious one week stay. An adults only hotel. GUYSSS, this hotel was hands down the best I’ve ever stayed at! The second you arrive and check in, they make you feel at home. As soon as we arrived at the hotel, before even checking in, we were taken to the mini spa room in the lobby for a quick 5-minute ‘welcome massage.’ This made so much sense since we literally just got off an airplane. After the welcome massages, we were greeted with freshly squeezed grapefruit juice, while we checked in. At check-in we chose the scent of our room – DETAILS DETAILS. We chose Sage with lemon grass. It was fresh and calming. After choosing the scent, we also go to choose the kind of pillows we wanted to sleep on. I mean, I love a good detail, but THIS was beyond me! I was so impressed by the attention to detail that the staff had. Both Andrew and I ended up choosing the same kind of pillow. When we finally entered our room, we were blown away by how gorgeous it was. Ocean view (every room in the entire resort gets an ocean view, btw!) There was a fully stocked bar that was completely complementary to us. 24/7 room service. Butler service. A bathroom so beautiful, I could live in there. A little kitchenette with a Nespresso machine and some coffee pods. And…a California King Bed. With the softest blanket and the pillows we chose. We just melted right into the bed the second we got in. Nothing in the world was better than that. Oh except, that they had also left us a beautiful bottle of wine and some fresh fruit and chocolates in the dining area. Once we settled in and finally got over how gorgeous our room was, we left the scene to wander the rest of the hotel. 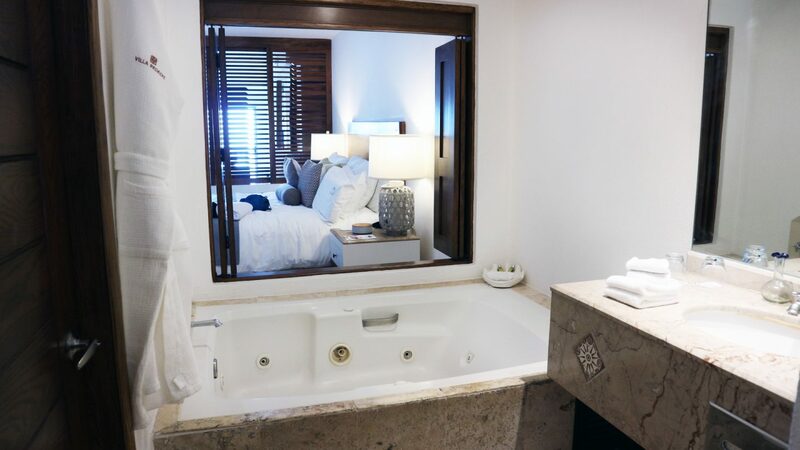 Are you totally convinced that you need to go to Puerto Vallarta and stay at the gorgeous Villa Premiere yet??!! 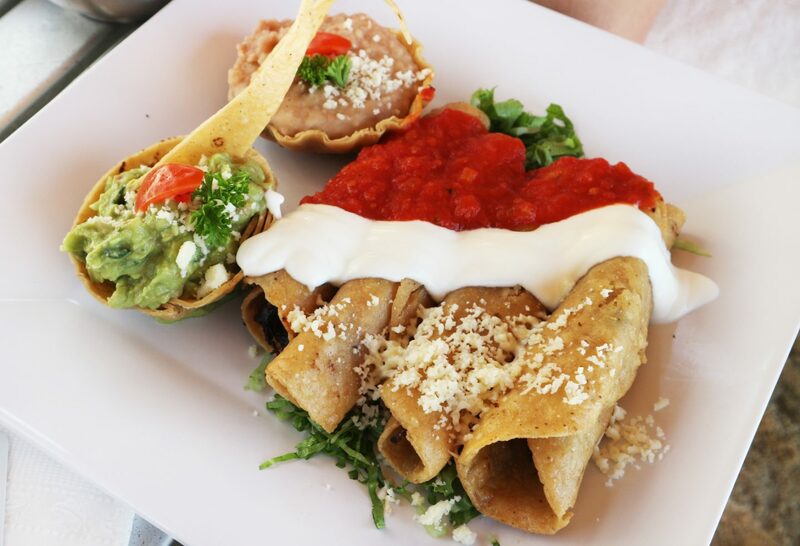 La Ceiba – Right by the ocean, you can enjoy their traditional Mexican flavoured foods. The view is actually breath-taking! La Corona – This was more of an upscale setting. We dressed up a couple nights and had dinner here. It was beautiful, and the food was delicious. Murales – Another romantic and cozy setting with traditional Mexican dishes. The next day we had booked in 60 minute couples massages at their Mind and Soul Spa. Obviously it was amazing, just as everything has been so far! We felt super relaxed and ready to just enjoy the beach for the rest of the afternoon. The best part about the beach was that they had a little rope that kept the locals from coming up to you to sell things. So, if you want to actually buy something from the locals, you can call them over. However, if you don’t want to be bothered, they will never cross the little rope barrier. We cozied under one of their Bali beds on the beach, which was a little hut with a roof. And we order ALL the guac and chips! I’m not kidding. I probably ate my weight in guac and chips, guys! Because when in Mexico, you must do that. Every afternoon we had lunch on the beach in our hut. We would order, fish, chicken, and octopus tacos, chips and guac, shrimp sautéed in garlic and butter sauce, some sort of house salad, and fresh juice. I loved the pineapple juice! The next couple days we had some excursions booked. Andrew and I are both adventure people, so we like to wander. We collaborated with Vallarta Food Tours for a local food tour around Puerto Vallarta. The amazing thing about this city is that moments from stepping out of your hotel, you are already in a very local area. Puerto Vallarta doesn’t feel very touristy. Which is what we LOVE. You also feel very safe walking the streets because the people of Puerto Vallarta are amazing. The sweetest in fact! 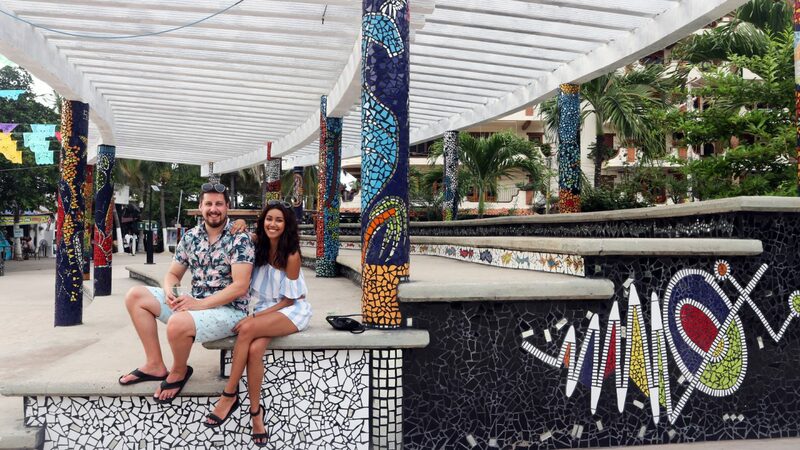 We met with our food tour guide, Amanda, who was born and raised in Puerto Vallarta. She left to do schooling in the States, and then came back because she loved her home town. Her and her family run this Food Tour business now. 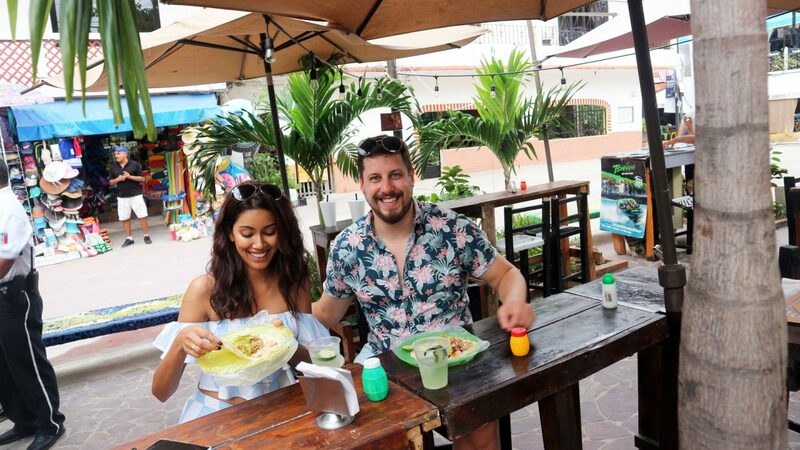 If ever you’re in Puerto Vallarta for a few days, I definitely recommend booking one of these tours to see and taste everything! The next day we we’re headed on another excursion. This time it was ATVing and Zip Lining! We collaborated with Canopy River. This tour was AMAZING. If you’re going to do one tour on your trip to Puerto Vallarta, I would highly, HIGHLY recommend it’s this one. It is slightly on the more expensive side, however, it was worth every penny! The tour is a full day – they pick you up at the meeting spot which is close to your hotel, and then take you to their site. We did the ATVing first. It was the coolest thing ever. You either get to drive your own ATV or sit with one of the instructors. I definitely did not drive the ATV, however Andrew did, and loved every moment of it. I was with Andrew on his ATV. Most couples did it that way. The tour does go pretty fast on the ATVs so, if you’re not a strong driver, I would suggest driving with someone who is. We drove all through the forest, which was sooo cool! I’ve never done anything like that before. After ATVing we got back to their site, and then we did zip lining through the forest. ALSO – SO FREAKING COOL! I’ve never done zip lining before, and surprisingly wasn’t terrified at all. We did about 10 lines in total, which took about 2 hours or so. Once we were all done, we had a moment to chill and explore their grounds, have some tequila, and eat some food. Obviously, we order guac and chips. Again – if you’re going to do ANY tour, let it be this one! It was super cool. Once we were back at the hotel, it was about 4pm. We still had time to hit up the beach and relax before dinner. Everyday was a perfect at this hotel. We woke up every morning, and ordered breakfast right to our room. If you’re ever staying here, make sure you get their Chilaquiles. OMG SO GOOD. I ate that every morning, with a side of coffee and fresh juice. 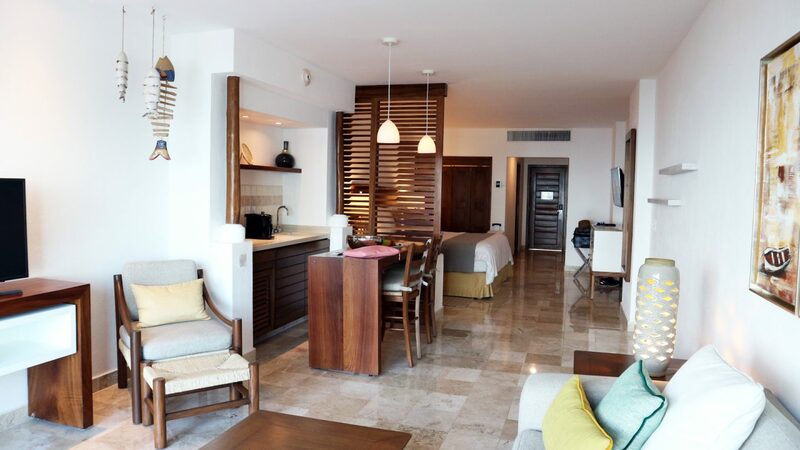 Now, if you are a family visiting Puerto Vallarta with your kids, they do have a sister hotel that’s kid friendly called Hacienda Buenaventura Hotel & Mexican Charm. We did visit their hotel and had breakfast there. We also checked out some of the rooms which were super cute and designed like a Mexican palace. Very cute vibes! Lastly, I just wanted to say a HUGE thank you to everyone at Villa Premiere Boutique Hotel that made our stay more than perfect. 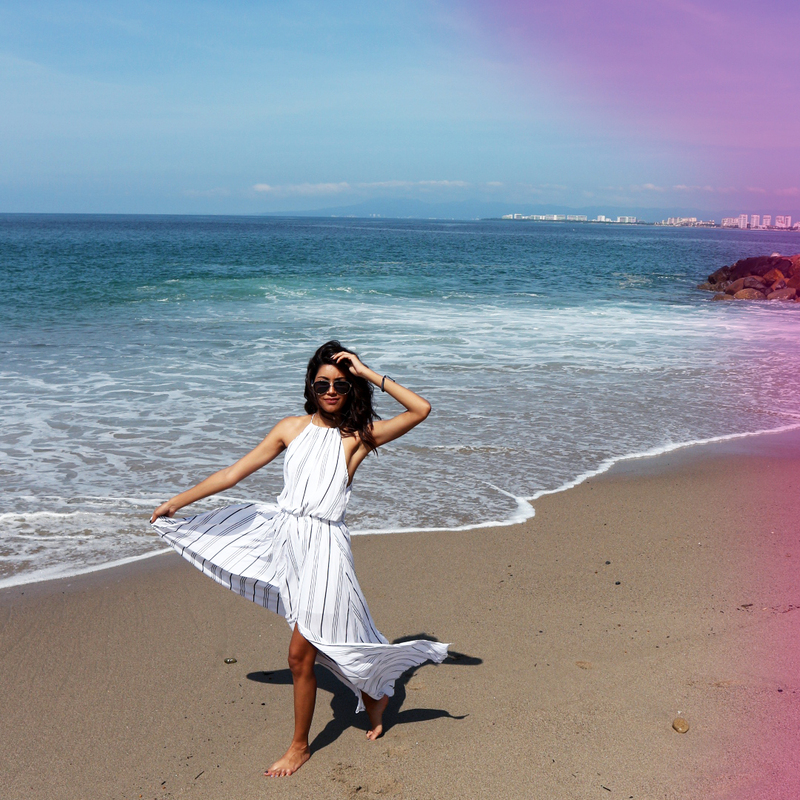 We couldn’t have asked for a better week in Puerto Vallarta. The staff was unbelievably friendly, the food was amazing, and the attention to detail was exceptional! If you guys want to stay somewhere that will literally take your breath away, Villa Premiere is what I recommend. Can’t wait to be back there again someday! +Have you checked out our Trip to Sri Lanka yet? Read about everything to do there! & our Weekend Getaway to Hockley Valley Resort. Previous Post THE ONE BEAUTY PRODUCT YOU NEED RIGHT NOW. Next Post HERE’S HOW TO SELF-CARE IN 2019. Weekend get aways are the best!!! It looks like you had a wonderful time! It was a week 🙂 But yes, had the BEST time. Gorgeous pictures, amazing sounding hotel experience! I am looking for an adults-only place to get away to soon. I need to check this place out! OMG, the hotel MADE this stay. Definitely check them out if you go! A bit on the pricier side, but SO SO SO worth it. The resort looks incredible! Prior to having a baby, my wife and I used to do annual trips to Play Del Carmen. Sounds like we need to check out Puerto Vallarta next! Definitely! You guys will LOVE it. This looks like absolute heaven on earth! Especially with all those cold weather we have been having here in Minnesota. The hotel looks gorgeous and I love that it is adults only! Wow! It looks amazing! I love that there are 3 different restaurants on site so you have great choice without ever leaving the resort. The excursions sound unmissable too!! Absolutely gorgeous! I’m craving a tropical getaway now! I’m blown away by the details and welcome the hotel provided when you all arrived – definitely looking into this place! Thanks for sharing your amazing trip! I had a such a great time when I was in Cabo! 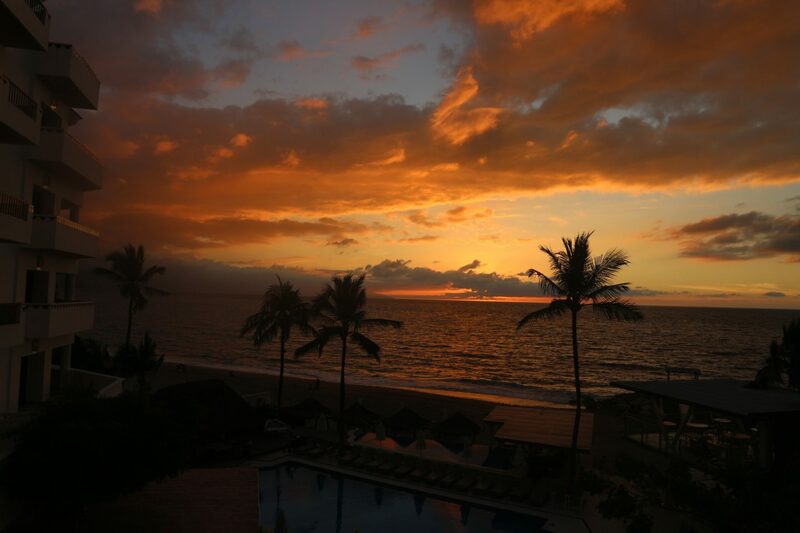 I am sure Puerto Vallarta would be just as fun! Yesss. You should visit PV next! SO GOOD. Looks like an amazing time! I really love the vibe of the hotel room!! Also, that sunset is incredible!! I need a vacation at this point. This looks so good the views, the beaches and I love the hotel room. I am sure had such a nice time, I now I would. You should totally plan a vacation here sometimes soon! You’ll have an amazing time. I have never been to Mexico but your photos are amazing!! That hotel looks like a home away from home how exiting and comfy! It was honestly amazing. And they made us feel like home!! Wow, that looks amazing!! Ive been wanting to go over the summer! Thanks for sharing the details! You look beautiful! This place looked very inviting! I’d love traveling and would love to visit mexico one day! wow this looks like an amazing trip! i’m dying to be somewhere warm!